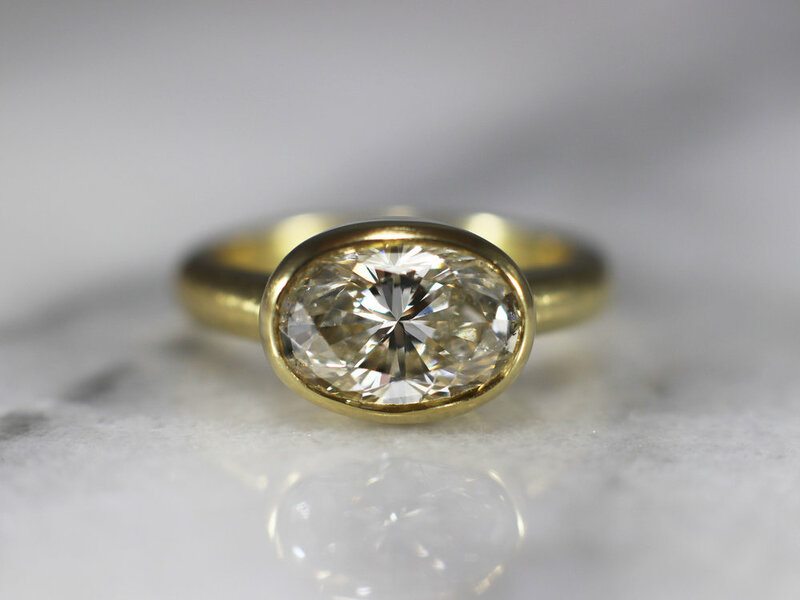 Andrus' beautiful heirloom 2.77 carat diamond was originally set in a 6-prong style ring. This classic setting was too tall to fit Andrus' active lifestyle, so a new ring was designed to sit lower on her finger in a sensible east-to-west style bezel. 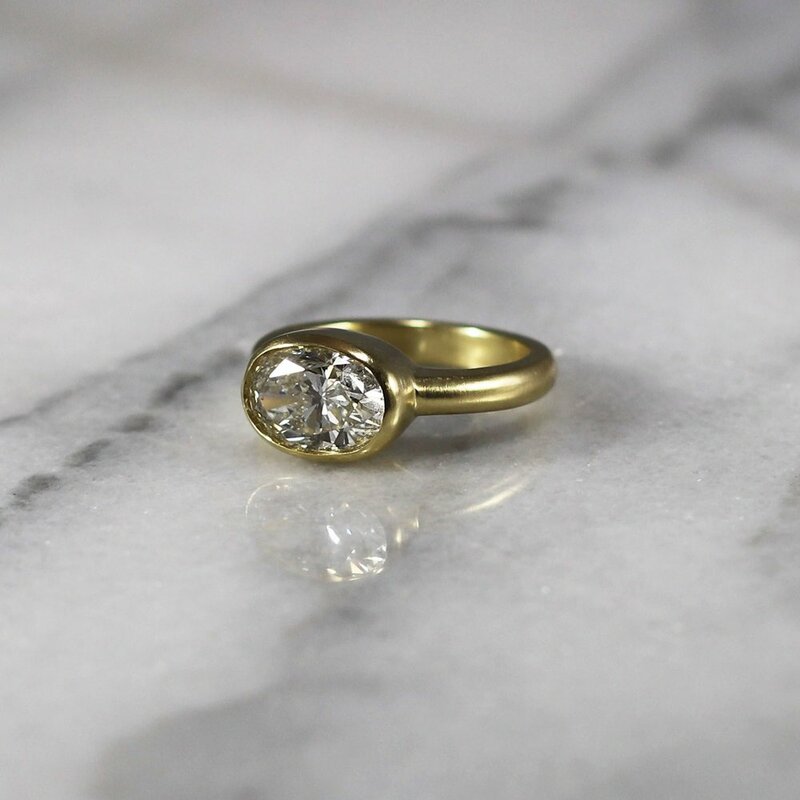 This simple yet elegant setting paired with the brushed finish of the 18k yellow gold band was designed to be the perfect showcase for such a spectacular and brilliant diamond.